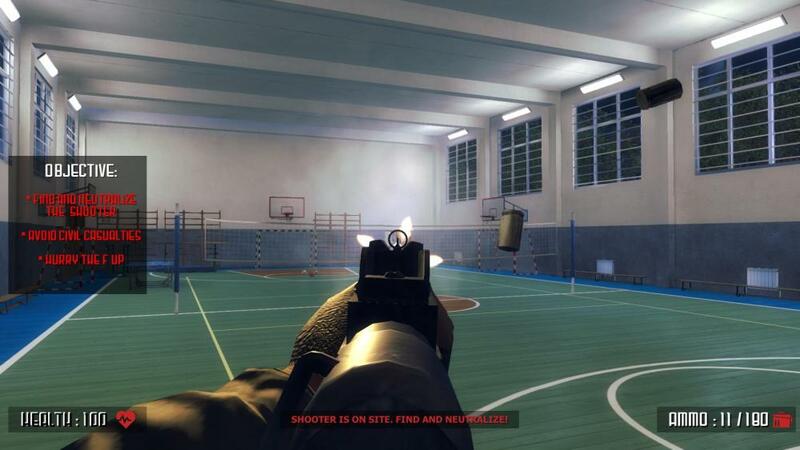 A video game that lets players simulate an active shooter scenario was set to come out on Steam, one of the largest gaming platforms run by Valve Corporation with more than 125 million users. “Active Shooter,” from developer Revived Games and publisher ACID, was set to release on June 6. The game has quickly sparked national outrage on social media and survivors of the Marjory Stoneman Douglas High School shooting in Parkland, Fla. are speaking out about the disrespectful and intolerable game. By portraying this horrific bloodshed in a video game and encouraging young adults to engage in it, the media is normalizing this violence. Parkland activist Emma Gonzalez tweeted in response to the game. Fred Guttenberg, the father of another parkland victim, Jamie Guttenberg, has urged consumers to boycott this game in a series of tweets. The game lets you play either as a SWAT team member focused on stopping the active shooter, the actual shooter, or a civilian attempting to escape the scene. In a video posted on Steam, a shooter is shown running through school halls and classrooms while killing police officers and civilians. Although the game has been removed off of Steam, the video game developer doesn’t seem to understand the backlash towards the game by arguing that there are worse games out there. There is currently a petition on change.org signed by thousands of people condemning the violence and active shooter scenario displayed by the game. Opinion: Who’s to blame for gentrification?